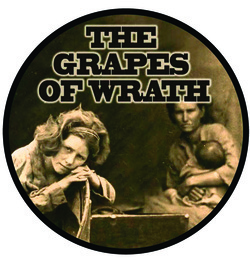 The Grapes of Wrath is presented through special arrangement with Dramatists Play Services, Inc., New York. Winner of the 1990 Tony Award for Best Play, this is a powerful and deeply affecting stage version of one of the masterpieces of American literature. Set in the Great Depression, the play follows the trials and tribulations of the Joad family as they flee the dust bowl of Oklahoma. Desperately proud, but reduced to poverty by the loss of their farm, the Joads pile their few possessions on a battered old truck and head west for California, hoping to find work and a better life. The Joads must deal with death and terrible deprivation before reaching their destination - where their waning hopes are dealt a final blow by the stark realities of the Great Depression. And yet, despite the anguish and suffering which it depicts, the play becomes in the final essence a soaring and deeply moving affirmation of the indomitability of the human spirit.